Professional housekeeping requires a broad skill set that ranges from cleaning and laundry to kitchen service and organizational systems. 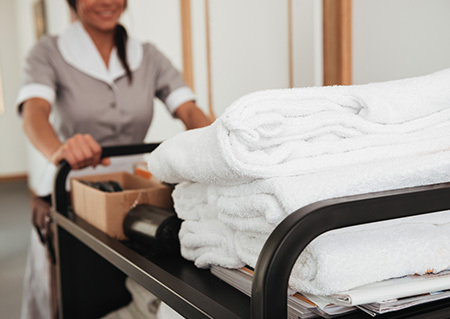 While the housekeeping field is never short in demand, training with a seasoned professional will make you a more valuable asset to potential employers, including hospitality groups or private residences. The Basic Housekeeping course will train you in effective housekeeping techniques to help you offer the highest standard of service. 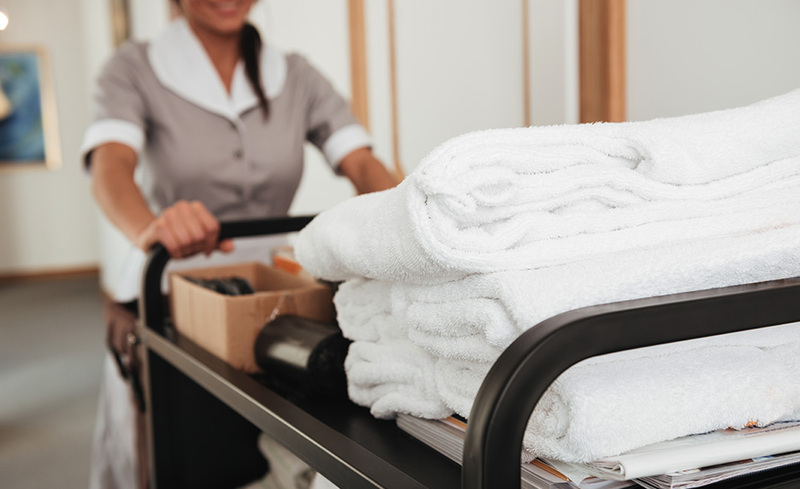 The Basic Housekeeping course will teach the necessary skills needed to start or advance a career in housekeeping. You will build a foundational skill set that can be used to work at private residences or hospitality groups like hotels and resorts. 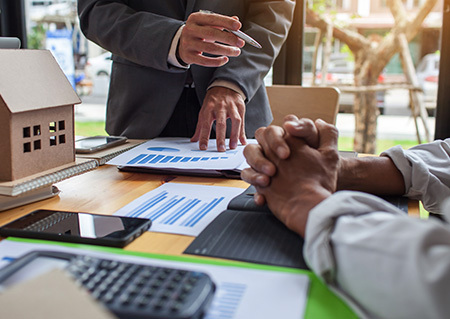 You will also learn the important elements of professional conduct, such as creating a resume, interviewing, accepting or rejecting job offers, and more. This course covers household cleaning techniques, such as proper use of cleaning materials and tools. You will also gain an understanding of laundry, from separating and washing to drying and ironing. You will also learn about organization, time management, and other fundamental aspects of effective housekeeping including kitchen service and basic childcare. Upon completion of the course, you will have a well-rounded and diverse skill set that would make you a valuable addition to any employer. “The Professional Training Guide” by Marta Perrone. All materials for this course are provided online. The recommended Supplementary materials listed below are optional.